Continue building on a reputable development brand in a highly competitive neighborhood and challenging market conditions. Introduce downtown lifestyle living to the suburbs through disruptive brand presence. 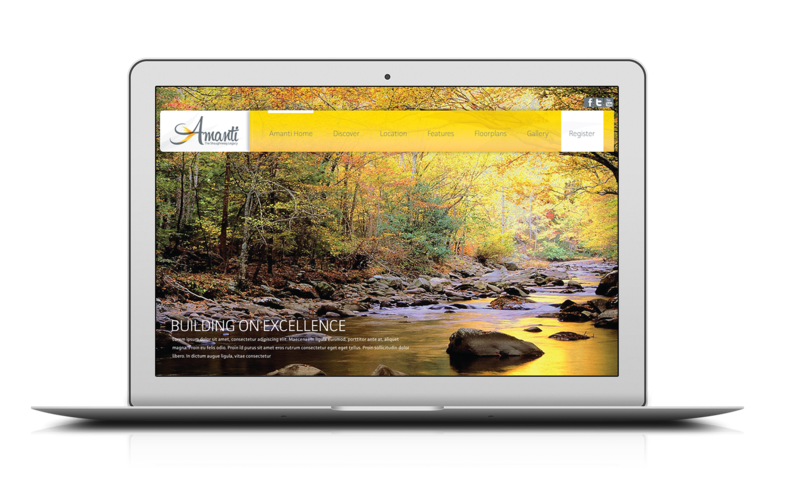 The motif driven by the Amanti brand focused on a fresh outlook on new standard of home ownership. Envisioning a vibrant community with access to natural surroundings inspired the warmth and powerful color and material selection for the project. VIP events at the sales center.